The Community Alliance with Family Farmers (CAFF) has released a report titled Making the Invisible Visible: Looking Back at Fifteen Years of Local Food Systems Distribution. CAFF shares lessons learned from its successes and failures in trying to localize food systems with cutting-edge distribution solutions at its own food hub, the Grower's Collaborative. Farmers and other growers seeking to extend the production season, increase yields, or mitigate weather conditions can turn to a new Kansas Rural Center publication for a thorough assessment of which "polytunnel" options may work best for their situation. Growing Under Cover provides practical information and resources to assist growers in Kansas, or similar climates, who are aiming to avoid common mistakes and tunnel disaster and to maximize return on investment from both high and low polytunnels. The publication is available free, online. A new international study from The University of Manchester has pulled together soil research to demonstrate how organisms below the ground could hold the key to understanding how the world's ecosystems function and how they are responding to climate change. Published in Nature, the paper explores how the below-ground world can contribute to sustainable land management through pest control and climate-change resilience. In Finland, Dr. Heikki Hokkanen at the University of Helsinki has been using honey bees to carry biological control agents to strawberry plants as they pollinate them, reports Organic Farming Research Foundation. Gliocladium catenulatum, a naturally occurring soil fungus that can be converted to an inoculant powder, is delivered by the bees to each strawberry flower they visit. The fungus then colonizes, preventing establishment of gray mold. A new study released by the International Water Management Institute documents the area of land under cultivation in and around the world's cities. The study, which was the first global assessment to quantify urban and peri-urban croplands and document the resources they consume, found 456 million hectares—an area about the size of the European Union—under cultivation in and around cities worldwide. Members of the Western Washington Poultry Farmers Cooperative are enjoying the use of a new mobile processing unit, reports The Seattle Times. The $20,000 custom trailer rents by the day and allows growers to process poultry or rabbits. With proper licensing, growers can sell the meat processed in the unit statewide, freeze it for later sale, or market individual cuts. EPA is seeking grant proposals for environmental education (EE) projects that promote environmental stewardship and help develop informed, knowledgeable, and responsible citizens. EPA expects to award EE grants of up to $192,200 each for model projects that design, demonstrate, and/or disseminate environmental education practices, methods, or techniques in at least two locations. Applications are due by February 2, 2015. The Wisconsin Department of Agriculture, Trade and Consumer Protection is accepting applications for Dairy 30x20 grants. Farms can use the grants for business planning, designing new facilities or systems, or consultation on improving management practices. Recipients could be awarded as much as $5,000. A 20% cost share is required. Applications are due by January 15, 2015. This program provides assistance for activities of producer associations that contribute to the education, training, and marketing skills of Tennessee agricultural producers, as well as developing markets for farm products. Grants up to $5,000 are available to qualified statewide agricultural producer associations. Applications are due by December 15, 2014. This annual conference offers valuable workshops filled with technical information, inspiration, and creative new solutions for producing and processing ecologically and socially just food. The event includes a pre-conference tour and summit meetings, workshops, speakers, and social events. 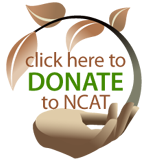 "Feeding Our Neighbors by Nourishing Our Soil" is the conference theme. The agenda includes speakers and workshops on livestock, planting trees for food, small-farm dairy production, beekeeping, recycling, cover crops, local foods, and more. There will also be exhibitors, youth workshops, and organic/local foods. The 2015 Annual Conference will foster discussion on longer crop rotations, cover crops, pollinator habitat, weather resiliency, soil preservation, perennial crops, diverse crop mixes, and irrigation. It will also explore how to tackle low profit margins and volatile market prices, and how to chart a profitable future. Learn from discussions between beginning and experienced farmers. What can you tell me about getting started with aquaponics?